Like many people getting started with sim racing, I purchased a Logitech G27 Racing Wheel. It took me some time and effort to get it to feel "right" in iRacing. 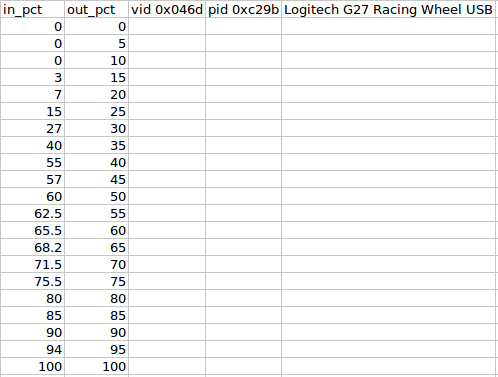 I'm sharing the configuration settings in the hope that it'll help other online racers get the most out of their setup. 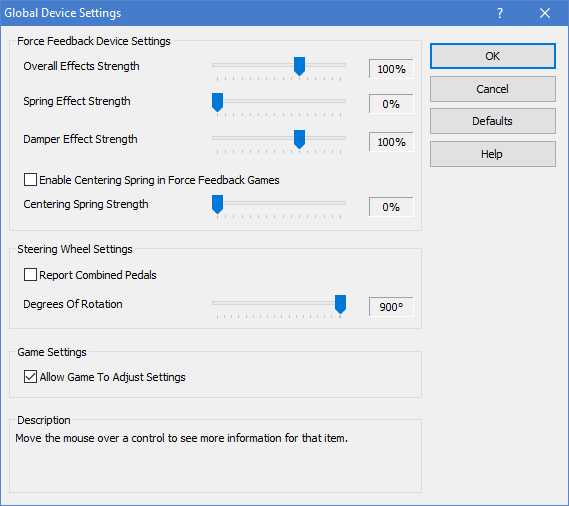 I landed on nearly all of these settings after reading information on Ed Racing's G27 and Force Feedback pages. One crucial thing to note is that I use a custom forceMap file, which sets up a non-linear progression of feedback force. The sim outputs forces which would be correct on the perfect wheel. The problem is that "cheap" wheels such as the G27 aren't perfect. The custom forceMap file makes up for the wheel's imperfections by translating the output from the sim into "more correct" forces from the wheel. In short you want to handle the ffb strength and damping inside iRacing, so set these to 100%. The important thing here is to ensure that rotation is set to 900 degrees. The important thing here is to ensure that min force is set to zero, because that is handled with in the forceMap file below. Download my forceMap.csv file and save it into your \users\[your username]\documents\iracing folder. 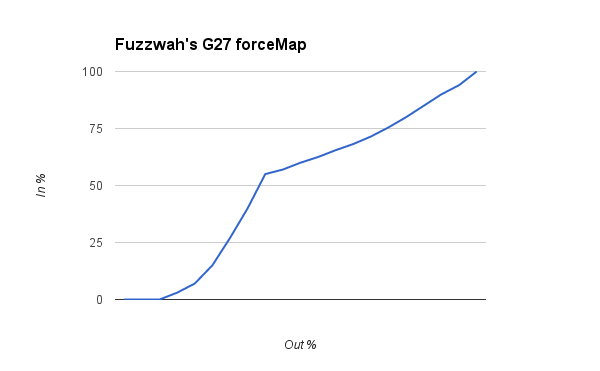 Below I show the values in the file and a graph of the progression of the force map. I find driving when using my forceMap file I get better feedback as to what is going on with the rear of the car. Feeling when I'm on the edge of traction is a huge improvement. Along with this I get a better idea of weight transfer side to side in the car. works great, def like it!